The International Forgiveness Institute (IFI) is a world-wide, not-for-profit organization dedicated to helping people gain knowledge about forgiveness and to use that knowledge for personal, group, and societal renewal. We believe that forgiveness is a choice. If you have been deeply hurt by another, you can choose to forgive rather than hold on to debilitating anger and resentment. In doing so, an amazing transformation begins. The black clouds of anxiety and depression give way to enhanced self-esteem and genuine feelings of hopefulness. When you forgive, you may benefit the person you forgive. By liberating yourself from the pain and sorrow, you can reclaim your life and find the peace that your anger had stolen. We are convinced that anyone–individuals, families, communities, even governments–can experience the extraordinary benefits of forgiveness. By learning to forgive and committing to live the forgiving life, we can all help restore healthy emotions, rebuild relationships and establish more peaceful communities around the world. Join the world-wide team committed to forgiveness. Become a “Peace Builder” now; sign the Forgiveness Pledge. Forgiveness is an important part of my life. I will do my best to forgive people from my family of origin. I will be a conduit of forgiveness in my family. I will forgive in the workplace and do my best to create a forgiving atmosphere. I will encourage forgiveness in my place of worship so that it is a forgiving community. 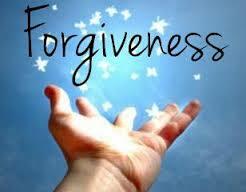 I will do my best to plant and promote forgiveness in my wider community. I commit to living the forgiving life. The anthropologist, Margaret Mead said that. She was talking about the ripple effect—one small stone cast into the lake can expand the ripple more widely than the small beginning. It is this way with anger as well. It can be passed on from generation to generation without seeming to stop. 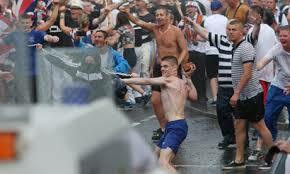 One June night I witnessed the ripple effect of anger in Belfast, Northern Ireland. It was late June, the beginning of “parade season,” when British and Irish communities stage parades to remember their heritage, including battles between them that took place over 300 years ago. In those battles one side won, the other lost. And anger raged. On that June night, youth from each group gathered on either side of the street. They had hatred in their eyes as they glared at each other, daring the other to make the first move. 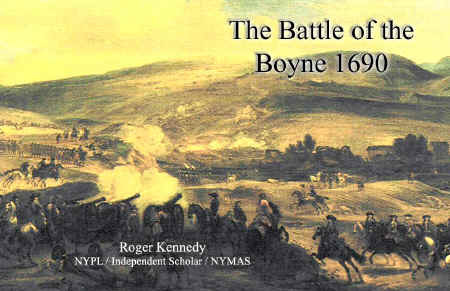 In a small way, they were replaying the Battle of the Boyne, fought between King William of Orange and King James II in 1690. Think about that for a moment. A battle was fought in the 17th century and its effects are being seen and felt in the 21st century in the Ardoyne neighborhood of Belfast. Police cars came, the crowds grew, and in a short while there was rock throwing, hatred, and rioting……among youth who probably have never met each other. They hate each other without a direct cause. The cause is a ripple effect from hundreds of years ago, when one side won and the other lost. That night in June in the 21st century, everyone lost. 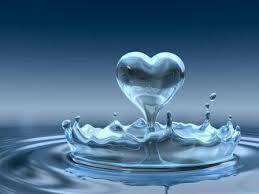 It seems too easy for the ripple effect to be seen when anger takes root. It made me think: Can we start a ripple effect of forgiveness in such a community, even if it is a “small group of thoughtful, committed individuals?” This would seem possible, but it further seems to me that it requires special care, a kind of care that anger does not need to stay alive. The small group of thoughtful, committed individuals could start a ripple effect of forgiveness, but they would have to know this: The ripple effect of goodness is much more easily disrupted by anger than the ripple effect of anger is disrupted by goodness. It is too easy to stay angry. It is not nearly as easy to stay forgiving and good. We need that small group of thoughtful and committed individuals to stay strong and to pass that sense of passionate commitment to the next generation. How is this accomplished? How can we pass forgiveness to subsequent generations? Let us begin to explore some answers to this question through the implementation of forgiving communities. By “forgiving community” we mean a system-wide effort to make forgiveness a conscious and deliberate part of human relations through: discussion, practice, mutual support, and the preservation of forgiveness across time in any group that wishes to cultivate and perfect this virtue (alongside justice and all other virtues). The Forgiving Community is an idea that can become a reality wherever there is a collection of individuals who wish to unite toward a common goal of fostering forgiveness, developing the necessary structures within their organization to accomplish the goal, and preserving that goal for future generations. We will consider The Family as Forgiving Community here and in a subsequent post, we will consider The School as Forgiving Community. 1. We are interested in the growth of appreciation and practice in the virtue of forgiveness not only within each individual but also within the family unit itself. 2. 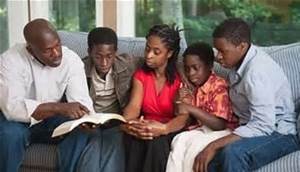 For family members to grow in the appreciation and practice of forgiveness, that virtue must be established as a positive norm in the family unit. This necessitates that the parents value the virtue, talk positively about it, and demonstrate it through forgiving and asking for forgiveness on a regular basis within the family. 3. For each member of the family unit to grow in the appreciation and practice of forgiveness, that virtue must be taught in the home, with materials that are age-appropriate and interesting for the children and the parents. 4. Parents will need to persevere in the appreciation, practice, and education of forgiveness if the children are to develop the strength of passing the virtue of forgiveness onto their own families when they are adults. To achieve these goals, one strategy is the Family Forgiveness Gathering. The parents are encouraged to create a time and place for family discussions. We recommend that the parents gather the family together at least once a week to have a quiet discussion about forgiveness. They are to keep in mind that to forgive is not the same as excusing or forgetting or even reconciling and that forgiveness works hand-in-hand with justice. – What does it mean to forgive someone? – Who was particularly kind and loving to you this week? – What did that feel like? – When the person was really loving toward you, what were your thoughts about the person? – When the person was really loving, how did you behave toward that person? – Was anyone particularly unfair or mean to you this week? – What did it feel like when you were treated in a mean way? – What were your thoughts? – Did you try to forgive the person for being unfair to you? – What does forgiveness feel like? – What are your thoughts when you forgive? – What are your thoughts specifically toward the one who acted unfairly to you when you forgive him or her? – How did you behave toward the person once you forgave? The parents are reminded that they do not have to know all the answers. In Part 1 we began to define the dimensions of what a Family as Forgiving Community is. We continue the discussion with some practical advice that we call the Family Forgiveness Gathering. By “forgiving community” we mean a system-wide effort to make forgiveness a conscious and deliberate part of human relations through: discussion, practice, mutual support, and the preservation of forgiveness across time in any group that wishes to cultivate and perfect this virtue (alongside justice and all other virtues). The Forgiving Community is an idea that can become a reality wherever there is a collection of individuals who wish to unite toward a common goal of fostering forgiveness, developing the necessary structures within their organization to accomplish the goal, and preserving that goal for future generations. We focus specifically on The Family as Forgiving Community. To achieve these goals, one strategy is the Family Forgiveness Gathering. We take that up in Part 2. So, Then, Does Forgiveness Education Work? A recent study on forgiveness education, published in the Journal of Applied Developmental Psychology, was done with middle school students in Korea who are bullied and who do the bullying. The results showed that our forgiveness program helped these students reduce in anger and hostile attribution, and increase in empathy. Their academic grades improved and they reduced in behavioral aggression and delinquency. Some of these adolescents were in a correctional facility for their aggressive behavior. “As teachers we are always promoting the positive attributes and virtues we wish those in our care to portray. 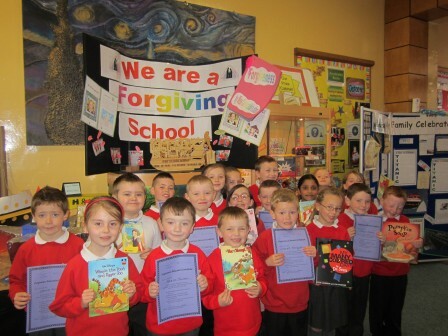 The Forgiveness (Education) Programme consolidated our aspirations for kindness, generosity, sharing and understanding. It gave us an extra tool to enhance our pupils’ experiences.” Gary Trainor, Vice Principal, Mercy Primary School, Belfast. “Never doubt that a small group of thoughtful, committed individuals can change the world. Indeed, it’s the only thing that ever has.” The anthropologist, Margaret Mead said that. She was talking about the ripple effect—one small stone cast into the lake can expand the ripple more widely than the small beginning.